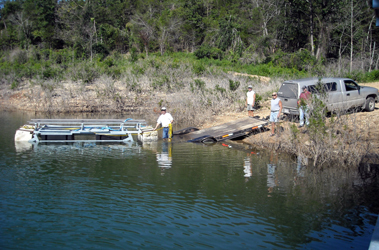 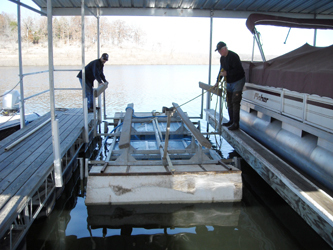 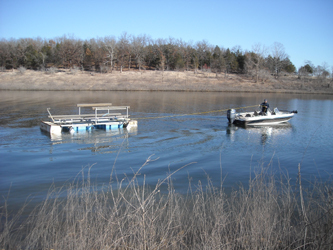 We offer and install both side mount and front mount boat lifts up to 12,000 lbs. 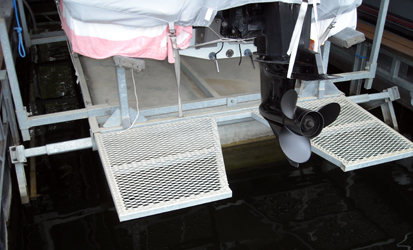 The side mount level-lifts are ideal for rough water locations. 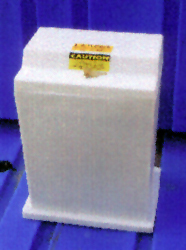 They add rigidity to the dock, and do not constantly twist and torque the dock. 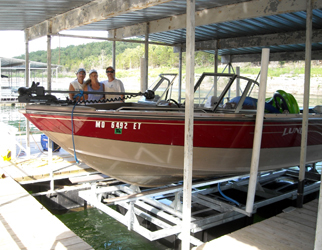 100% of the weight of the boat is supported by the lift. 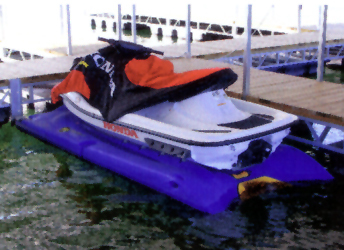 With front mounted lifts - some of the weight of the boat is carried by the dock and all twisting, torquing and squeaking is directed to the dock frame. 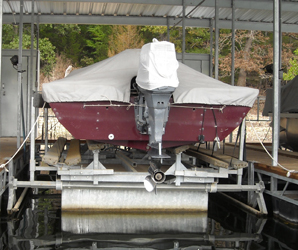 Boat Lifts come standard with this pole mount controller & blower. 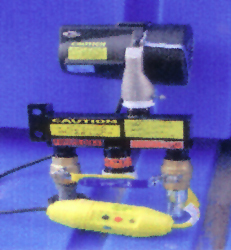 It is reliable and easy to operate.